The last OST for revenge drama Secret was released at noon today. 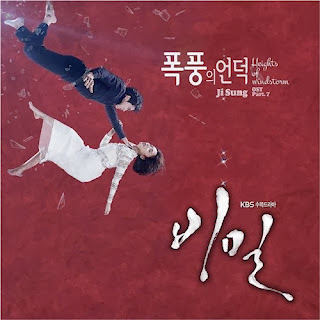 Ji Sung who acts as the main character in this drama lend his voice for this sweet ballad and it definitely will heighten up the emotions and lingering feelings of the viewers as this drama approaches the grand finale. Can't believe that Secret's last episode will be aired tomorrow. It feels like it was just yesterday when I read the news that Ji Sung, Bae Soo Bin, Hwang Jung Eum and Lee Da Hee were cast in this drama. Time has flied so quickly, this drama's rating was quickly climbed up from a low single digit to >15% because of its tight plot, suspenseful storyline and solid acting. Thank you Secret casts and crew for giving us one of the best drama of 2013. So excited for the finale tomorrow, I believe the writers will give us the most satisfying ending.